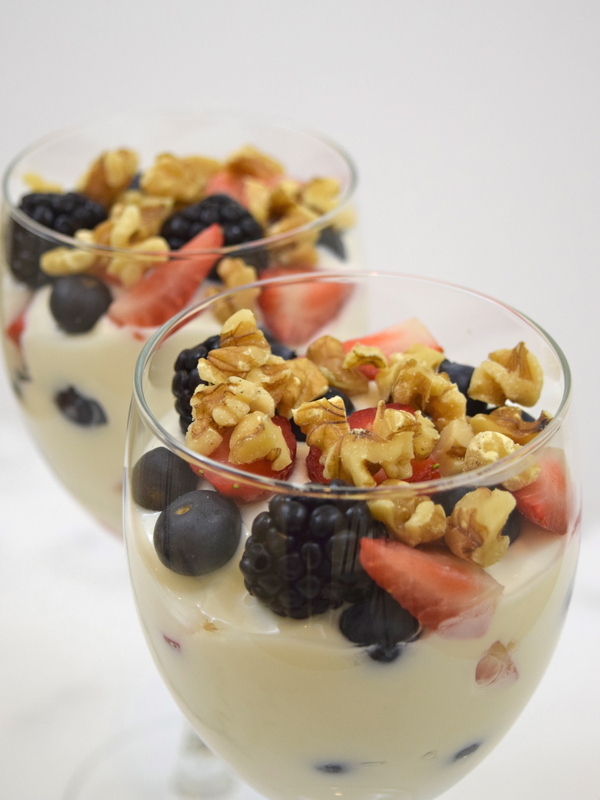 When my daughter was home from college for winter break, she made fruit parfaits with berries and low-fat vanilla yogurt for an early morning road trip she was taking with her boyfriend. They looked delicious! I thought they could be made in advance for healthy work week breakfasts. I have been looking for different ways to add variety to my morning meals. 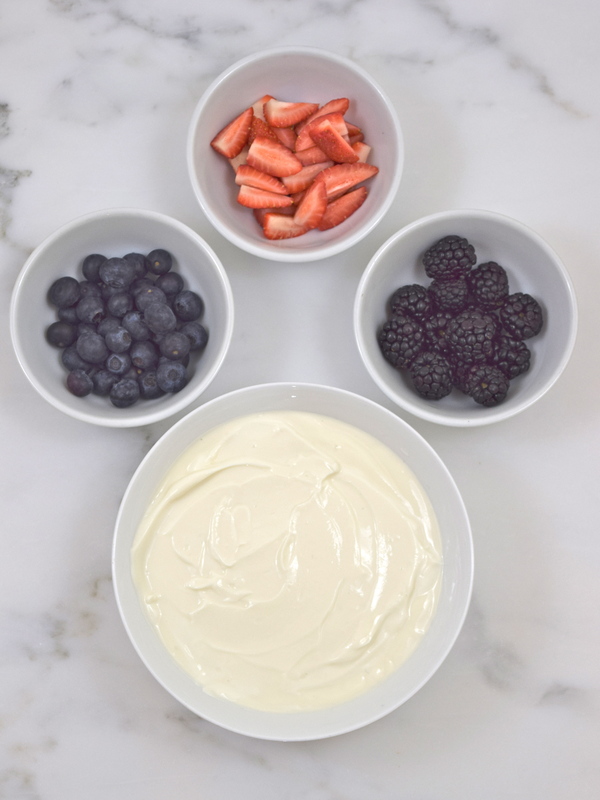 By using Greek nonfat plain yogurt and adding the honey and vanilla myself, I was able to increase the amount of protein and by 14 grams and reduce the amount of carbohydrate and sugar by 5 grams. 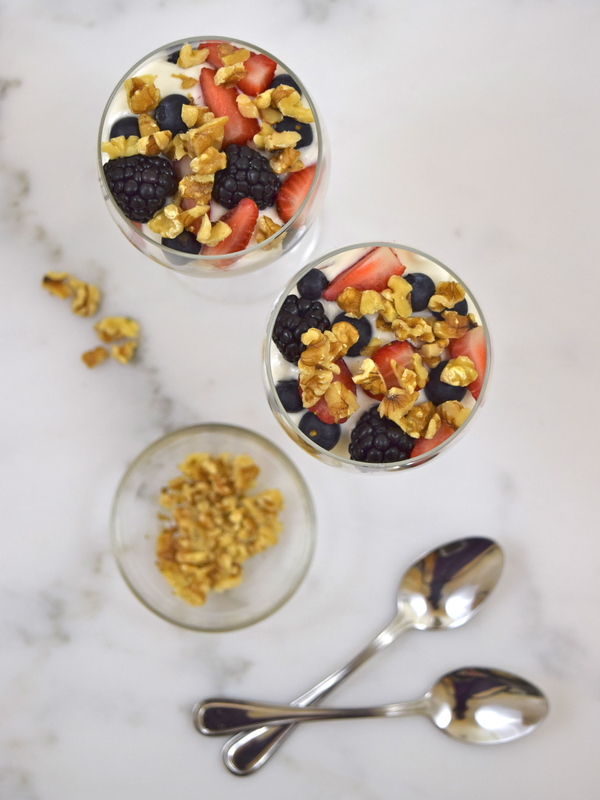 I topped my parfaits with omega-3 walnuts for crunch and more protein. The berry parfaits were yummy, if I do say so myself! In a medium bowl, add the yogurt, vanilla and honey and stir thoroughly. Add some fruit, then yogurt to the bottom of a dish. Repeat two more times. Top with walnuts. Makes 2 servings.